CSP combines strength, flexibility and performance. This makes it a popular choice for culvert and drainage, storm sewer and storm water detention and retention applications. CSP is a versatile steel product, available in multiple different coatings. The galvanized surface provides a highly effective and economic protective coating that ensures a long service life. CSP is also available in Aluminized Type 2 and Polymer Laminated coatings to meet your design service life requirements. We offer a wide variety of diameters, thicknesses and corrugation profiles to complete a wide range of structural design applications. GALVANIZED Soil conditions and a variety of other site/application factors can influence your choice of CSP coatings. Galvanized Steel is the standard finish for all Corrugated Steel Pipe (CSP) and performs well in low-abrasion conditions. 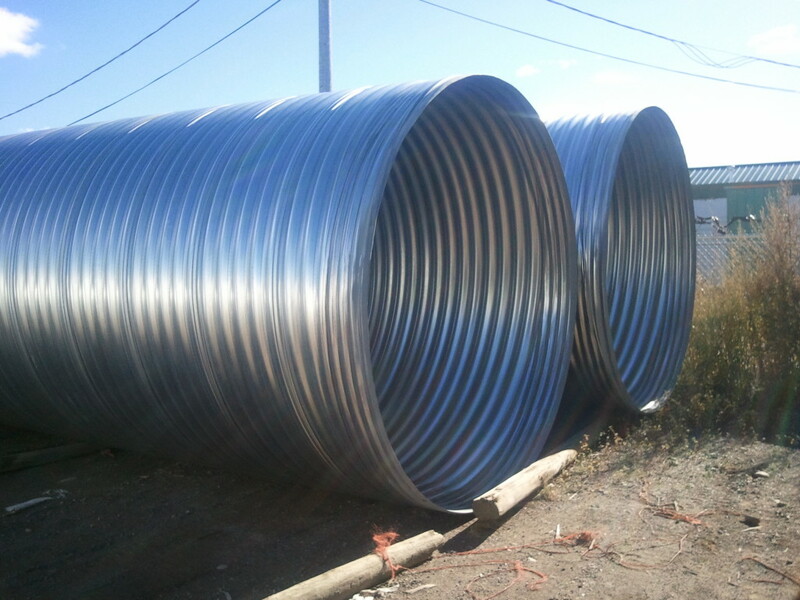 ALUMINIZED TYPE II This type of coating offers the corrosion resistance and surface characteristics of aluminum with the strength, durability, and economy of corrugated steel pipe. This product is fabricated from steel coils coated in commercially pure aluminum. A hard aluminum-iron alloy layer beneath the aluminum coating provides further protection against abrasion. The coating has a strong bond between metals and a uniform thickness on both inside and outside the pipe. Aluminized Type II CSP is ideal for storm sewer and drainage projects with a lifespan of 75 years or more. A durable and economical alternative to reinforced concrete pipe. POLYMER LAMINATED A coating for long-term applications. It’s a tough, heavy-gauge film at least 10-mils thick laminated to both the inside and outside surfaces of the galvanized corrugated steel pipe.This plastic coating provides a superior barrier, resisting all corrosive materials, such as acids, salts, and alkalines. The Polymer Laminated CSP is a great alternative to concrete and asphalt-coated pipe because it’s half the weight. This coating offers a long-term service life with superior resistance. Lengths Any length between 4 meters and 9 meters are available. 4 meter and 6 meter lengths are regularly stocked items. Soil conditions and a variety of other site/application factors can influence your choice of CSP coatings. Galvanized Steel is the standard finish for all Corrugated Steel Pipe (CSP) and performs well in low-abrasion conditions. 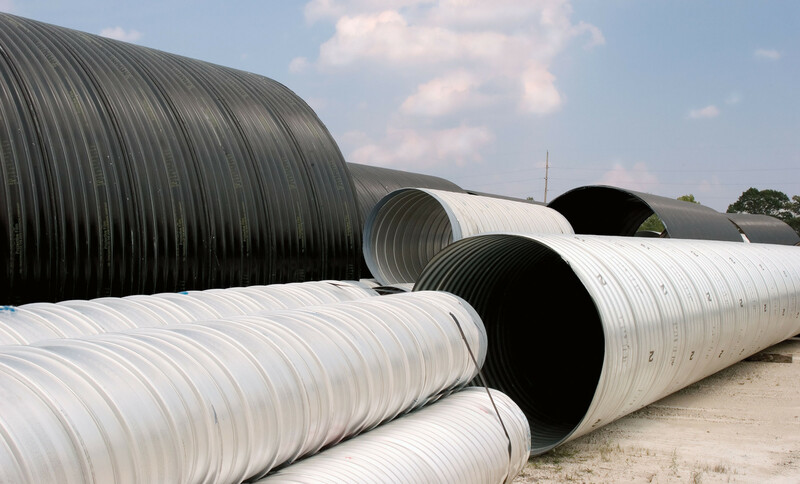 This type of coating offers the corrosion resistance and surface characteristics of aluminum with the strength, durability, and economy of corrugated steel pipe. This product is fabricated from steel coils coated in commercially pure aluminum. A hard aluminum-iron alloy layer beneath the aluminum coating provides further protection against abrasion. The coating has a strong bond between metals and a uniform thickness on both inside and outside the pipe. 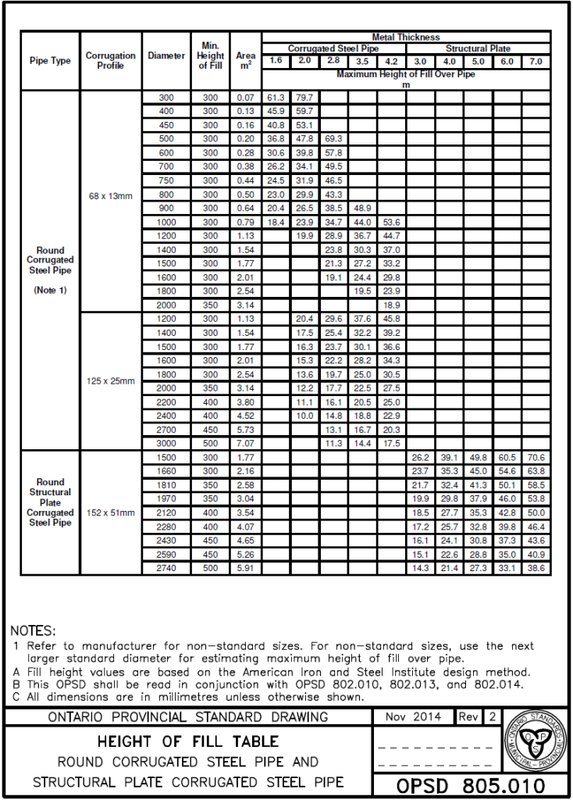 Aluminized Type II CSP is ideal for storm sewer and drainage projects with a lifespan of 75 years or more. A durable and economical alternative to reinforced concrete pipe. A coating for long-term applications. It’s a tough, heavy-gauge film at least 10-mils thick laminated to both the inside and outside surfaces of the galvanized corrugated steel pipe.This plastic coating provides a superior barrier, resisting all corrosive materials, such as acids, salts, and alkalines. The Polymer Laminated CSP is a great alternative to concrete and asphalt-coated pipe because it’s half the weight. This coating offers a long-term service life with superior resistance.